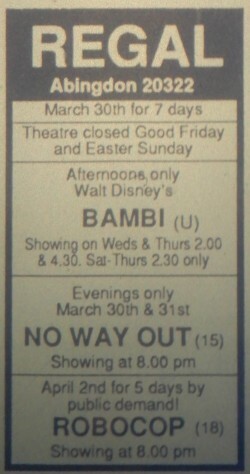 30 years ago, in 1988, The Regal in Abingdon was indulging in the ‘Walt Disney at Easter‘ tradition with Bambi. Next up was Robocop, a film that, according to the Herald, had ‘all the latest Science-Fiction film gadgetry and enough violent action to justify the suggestion it be re-named Rambocop‘. 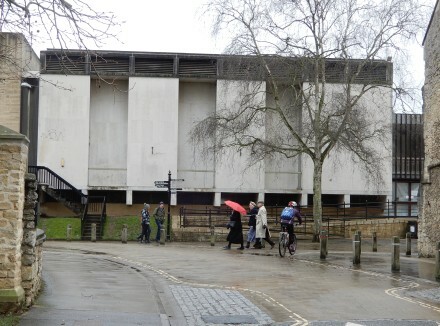 In 2018, after a successful run at the Unicorn Theatre, The Regal in Evesham has made an offer to Abingdon-on-Thames Town Council to take over the Abbey Hall (the new part of the Guildhall) and show films there. This offer will be recommended for acceptance by the full town council which meets on 25th April, and then comes some work to prepare the building for re-opening. This will allow the building to be used during the development of a scheme, by local councils, to turn the Guildhall into a Community Hub. 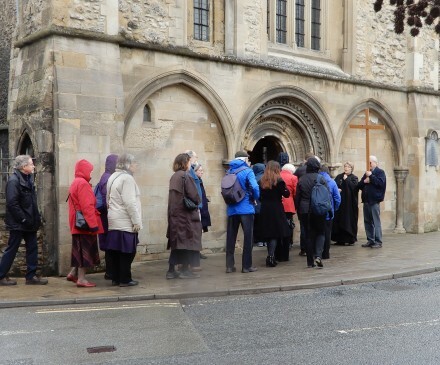 In Abingdon there were a number of Good Friday church services. 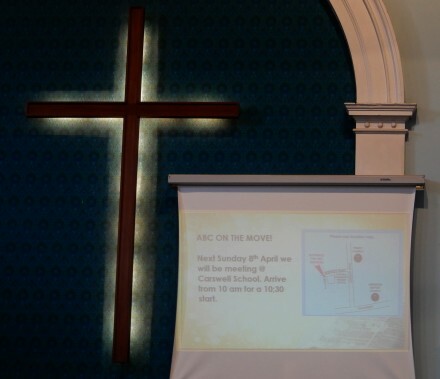 Both Trinity and Abingdon Baptist Church (ABC) met together at 10:30am for a joint service. 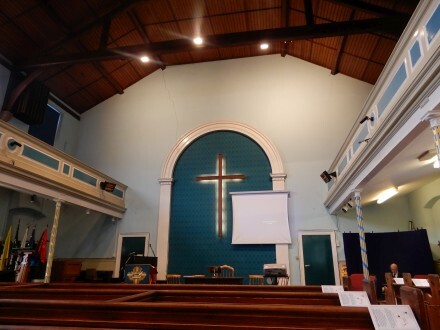 This was the penultimate service at the Baptist Church before they leave the church for a major revamp. So it was a last chance to see the old pews, the backlit cross, and the crack above the alter. ABC will be meeting most of the time at Carswell School during the revamp, and joining with Trinity for one Sunday morning every month. There was a procession starting at 11:45 leading to the Market Place and then to St Nicolas for a service of the churches in Abingdon at 12:00. About 80-100 people took part in the traditional procession. Good Friday is the day when Christians remember the Crucifixion of Jesus. 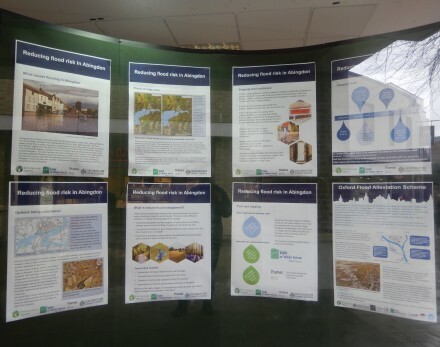 The window of the Community Free Space in Bury Street currently has a display on ‘Reducing flood risks in Abingdon.‘ There were also experts there yesterday to listen and answer people’s questions. Some of the information on the display boards can be read at https://www.oxfordshirefloodtoolkit.com/contacts/abingdon-flood-alleviation-scheme/, but the information boards have more detail. March 2018 to March 2019 – Development of the flood storage area design and modelling. Continue to investigate complementary options. 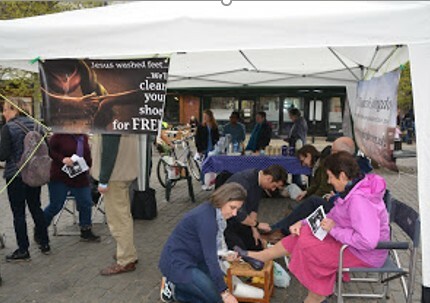 Maundy Thursday is the day when Christians remember Jesus washing the feet of his disciples. 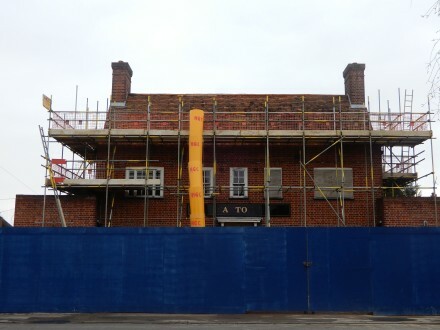 Work has begun on the redevelopment of the former Saxton Arms pub. The development will see the former pub turned into 6 apartments. A previous plan to turn the former public house into a convenience store didn’t work out. I think the plan was withdrawn after people said they did not want another convenience store.